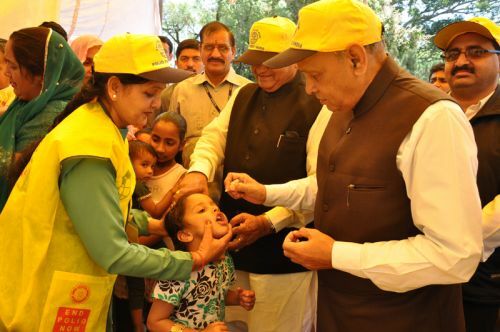 The first round of Intensified Pulse Polio Immunisation (IPPI) campaign in the Tribal Sub-Division, Pangi of district Chamba on 15th April, 2012 would not be able to be carried out due to heavy snowfall in the valley from last three days. Resident Commissioner, Pangi, Raguvir Singh Verma informed here today that necessary equipments relating to the IPPI campaign would not be able to reach in time as the valley had been entirely cut-off from all sides to vehicular traffic. Even the roads within the valley are covered with snow, he said. He had requested the Mission Director National Rural Health Mission to conduct the campaign on 29th April, instead of of 15th April, 2012.